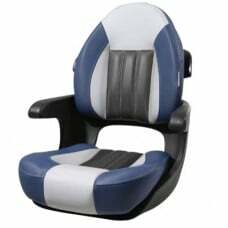 The Comfort Seat Select is a more luxurious version of the Classic due to its elegant cover wit.. 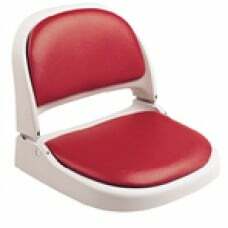 Comfort Seat combines quality, beauty and comfort with one innovative design. 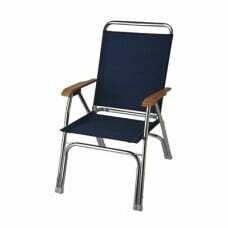 You can easily pl..
Garelick Chair Deck Design Padded Blue#2 ..
Lightweight aluminum compact folding frame - riveted construction Clear satin anodized finish..
Anodized aluminum tube frameWaterproof white sewn cushionsEight legged frame for extra stabilityMari..
Lightweight, sturdy and very comfortable One piece canvas back with 24" high frame 1" thick foam p..
TEMPRESS has teamed up with leading US Spinal Surgeons and Ergonomic Experts to create the break-thr..
Tempress Seat Helm Elite High Back Wht..
With flip-up bolster. Spring suspension seats are trimmed out with a deep-tuck backrest, molded poly.. 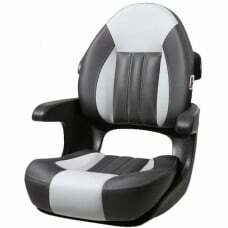 Attractively patterned mid-back Centric SAS (Shock Absorbing System) spring suspension seat is trimm.. Attractively patterned high-back CentricTM seat is trimmed out with backrest upholstered onsert (for.. 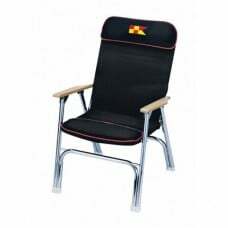 Designed for bass boats, aluminum fishing boats, fish'n skis, pontoons and deck boatsFold down seats..